Ohio’s 4th Congressional District representative Jim Jordan (R-Urbana) held a town hall meeting at the University of Findlay on Monday September 19th. In the reddest of red areas of Ohio he still had to spar with some unhappy constituents. They peppered him with questions about the failed Republican economic agenda and the continued outsourcing of jobs. Jordan’s unsupported tired GOP talking points didn’t seem to help. This entry was posted in Findlay, Hancock County, Politics and tagged cheap labor conservative, economic meltdown, GOP, Jim Jordan, OH-4, Ohio 4th Congressional District, tax cuts, town hall meetings, unemployment on September 20, 2011 by Doug. Rep. Jim Jordan (R-4th) is on the shadow budget group that suggests cuts in the budget and it seems he wants to cut social security and medicare. Like many cheap labor conservatives his cutting didn’t include a Marine vehicle being built in his district. He would rather hurt the elderly and disabled. To Jordan, this year’s budget battle is only the beginning. He points out that the current temporary spending measures deal only with what is known as discretionary spending – the 12 percent of the budget that finances the annual operations of the government. He is talking of eventually taking on the real cause of the deficit: the entitlement programs of Social Security, Medicare and Medicaid. First of all what he said about entitlements causing the deficit is a LIE. The majority of the deficit comes from extending the Bush tax cuts at the end of 2010. Like all cheap labor conservatives they never talk about corporate America paying their fair share which they don’t. As much as Jordan wants to reduce spending, he does have his exceptions. When the Obama administration wanted to cut millions of dollars for a Marine vehicle built in Jordan’s district, the conservative Republican fought to save the money. Yep he wants to kick Grandma to the curb but don’t mess with his pet project that benefits his district. The fact is that the elderly, disabled, and poor have taken the brunt of the bad economic times we live in. It is time for the corporate world to pay their fair share. 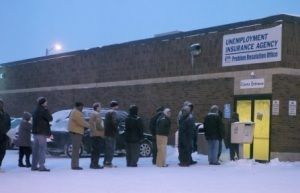 This entry was posted in Politics and tagged budget cuts, cheap labor conservative, economic meltdown, GOP, Jim Jordan, Medicare, Ohio, Ohio 4th Congressional District, Social Security on March 21, 2011 by Doug. 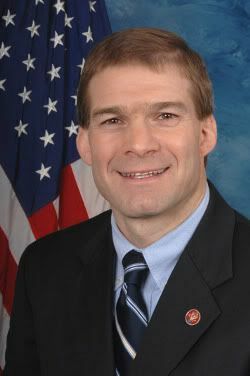 Rep Jim Jordan (R-Urbana) who for years has talked about cutting the Federal budget, complained about the spending of the current Congress, promised to cut spending and not raise taxes and was praised by a district newspaper for his promise to cut the budget, turned down an appointment to the powerful House Appropriations committee. Why would a committed budget cutter turn down a place on THE committee that writes the budget? Jordan believes the Obama administration needs to get a handle on spending, and cut taxes, not raise them, if the country is going to fully recover from the recession. As a member of the Budget, Judiciary, and Oversight and Government Reform committees, Jordan is positioned to push for many of the changes that the majority of voters in this district favor. Jordan proposes reducing “discretionary spending,” which includes items outside Social Security, Medicare, Medicaid and defense. He proposes reducing the payroll tax by half for one year, and reducing corporate taxes. He wants to eliminate capital gains taxes and the estate tax. He believes unspent money from the federal government’s $700 billion bailout of banks in the 2008 financial crisis should be used for deficit reduction. You can also check other posts on my blog that quotes Jordan on cutting the budget. Rep. Michele Bachmann (R-Minn.) was asked to be an appropriator and said thanks, but no thanks. Rep. Steve King (R-Iowa), a tea party favorite, turned down a shot at Appropriations, which controls all discretionary spending. So did conservatives like Lynn Westmoreland (R-Ga.) and Jim Jordan (R-Ohio), an ambitious newcomer who will lead the influential Republican Study Committee. So why would Jim Jordan turn down a committee assignment that would not only fit in his campaign promises for the past couple of years but would also bring him some prestige? He doesn’t want to have blood on his hands. The GOP has made no secret they plan on making wide spread cuts to everything except defense and giving tax breaks to the wealthy while raising taxes on the middle class. Exactly. Jordan doesn’t want more proof that he hates seniors, education, the unemployed, veterans, and the other groups he voted against during the current congress. The Courier reported on Friday 11/19 that Jordan’s staff says the Politico report was wrong that he never had a formal offer to join the appropriations committee. However they quote his spokesperson Meghan Snyder saying that he would turn it down if it was offered. He wants to be on a special group that will make the decisions on what to cut that will then be vetted in the committee so he can do his damage more in the shadows than if he was on the committee out in the open. But Jordan’s press secretary, Meghan Snyder, said Thursday he never was offered a seat on the powerful committee. “There’s a lot of talk about it. He never got a formal call,” Snyder said. Even if he did, Jordan would not accept an offer for the committee, she said. Jordan’s focus is becoming chairman of the Republican Study Committee, she said. The group of 116 House Republicans seeks to advance a conservative social and economic agenda. He could find out this week if he got the chairmanship. “He’s interested in being the conscience of conservatives,” Snyder said. Jordan is not the only House member to campaign for spending cuts and then appear indifferent about the Appropriations Committee. A scarcity of Republicans wanting to be on the Appropriations Committee was the focus of the Politico article. Campaigning for reduced government spending made better politics than cutting spending will be. This entry was posted in Findlay, Hancock County, Politics and tagged budget, economic meltdown, GOP, House Appropriations, Jim Jordan, Ohio 4th Congressional District, Republicans, US Congress on November 18, 2010 by Doug.